On the last day before a two-week holiday, parents from the H.I.S. Community participated in a workshop with two special guests from Heidelberg. 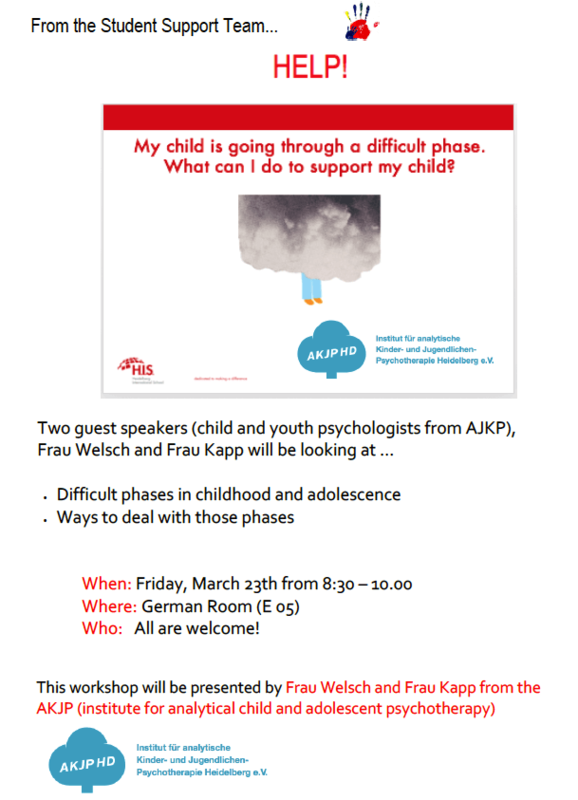 Katharina Welsch and Lisa Kapp from the Education and Counselling Center (AKJP) walked us through the defiant stages that children experience throughout school. 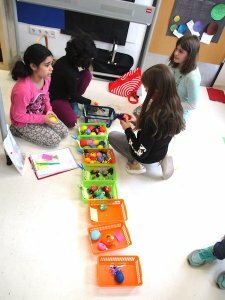 They offered some of the varied solutions that bring families to a greater understanding of the expectations at play during these stages and the healthy responses that can lead to social emotional well-being. 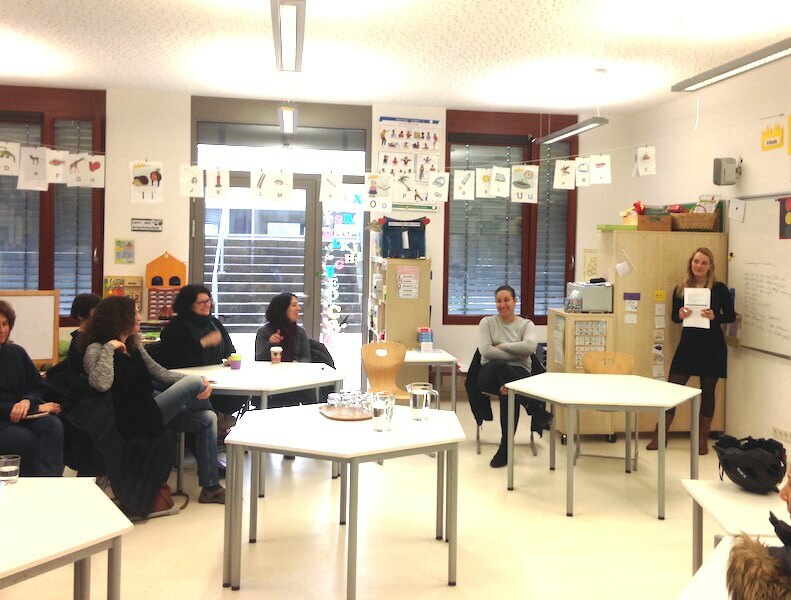 Parents were able to have an open discussion of experience as well as ask specific questions about topics from relationships, gaining autonomy and the need for parents to take care of themselves in order to provide a calm influence towards their child’s development. We were privileged to have such knowledgeable experts from our community. If you would like more information about the assistance that the AKJP can provide for you and your family, feel free to contact our School Counsellor, Lance Fortner. Yesterday was the first day of Spring! And while we may soon miss this peaceful snowfall, many at H.I.S. are excited for the sun and warmer days ahead. 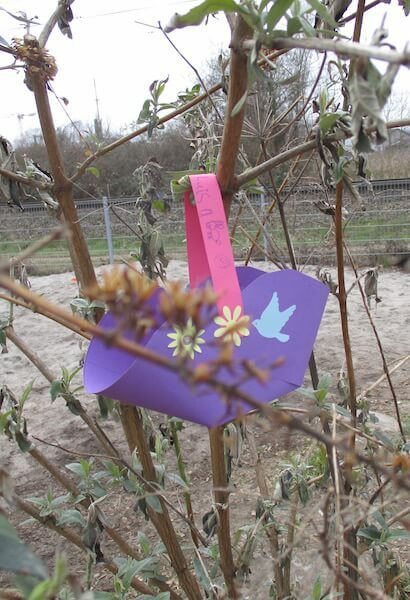 With spring comes many opportunities to celebrate and bring awareness to how much we appreciate and rely on our Blue Plant. For example, today is World Water Day! This Saturday the World Wildlife Fund for Nature also invites cities across the globe to participate in Earth Hour. As you begin your holidays, you can join many individuals, communities and businesses who will be turning off their lights 24 March at 8:30pm as a symbol of their commitment to the planet. 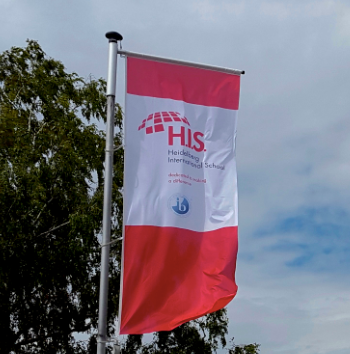 The 2018 H.I.S. Environment Week will begin shortly after the holidays, 16-20 April. 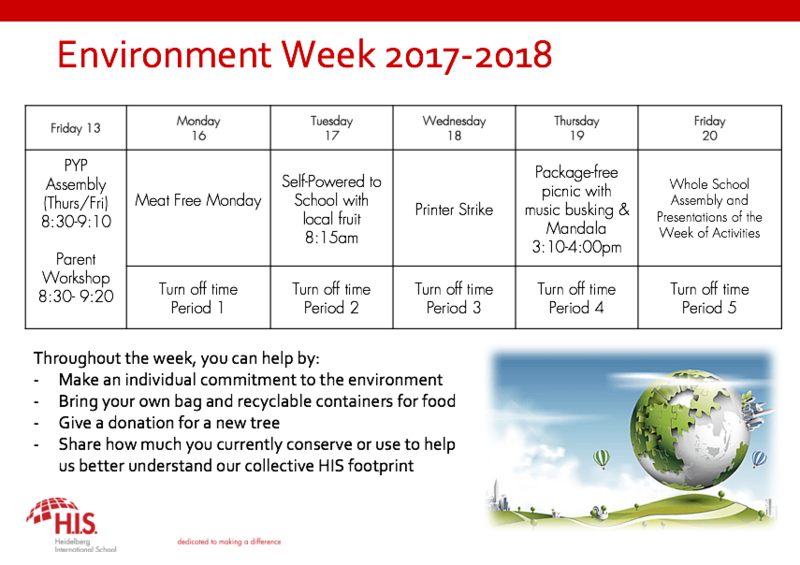 Throughout this week there will be many activities school-wide and within classes to learn about our natural world and take part in efforts to live more sustainably and as better stewards of nature. The Environment Working Group invites you to take a moment to appreciate the environment changes as you travel or observe Heidelberg (hopefully) transition into spring. 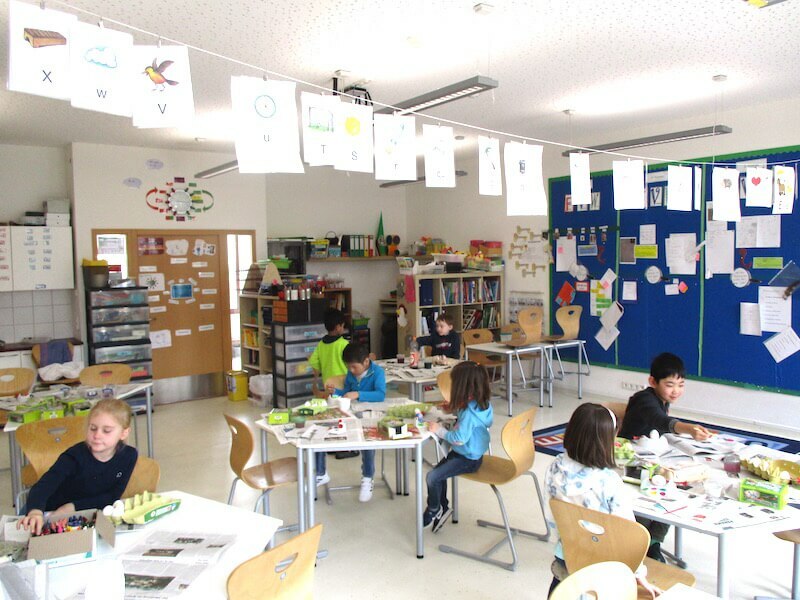 In German class today, we turned the German classroom into an art egg studio. 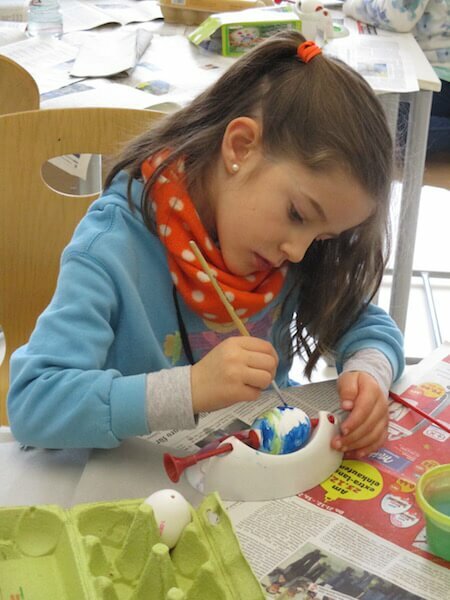 After we read a book about a rabbit who drew paintings on eggs, we made our own art eggs. 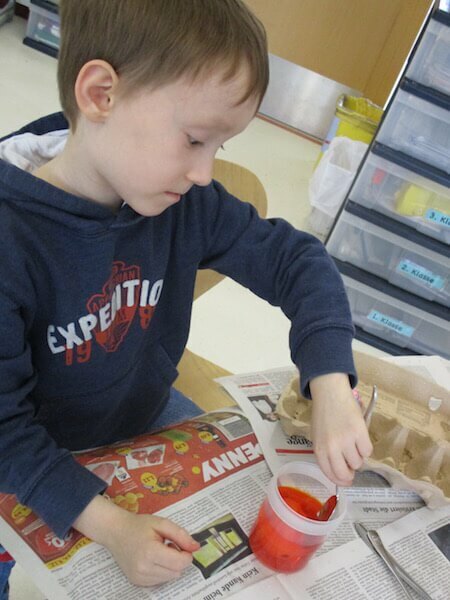 We enjoyed using different colours and ways to paint eggs. 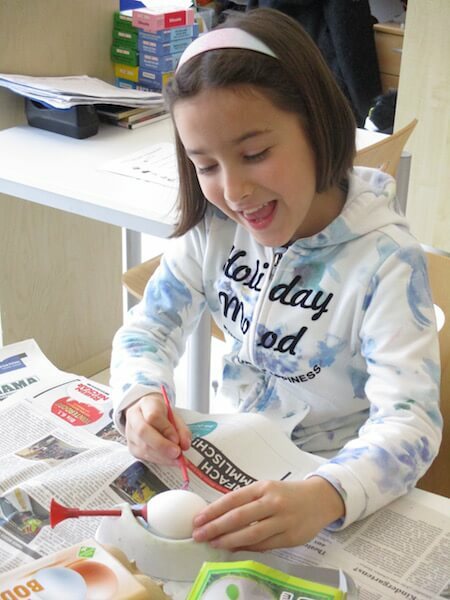 It was not always easy, and we had to be very careful and concentrated to not break the eggs. We had a lot fun and really enjoyed it! 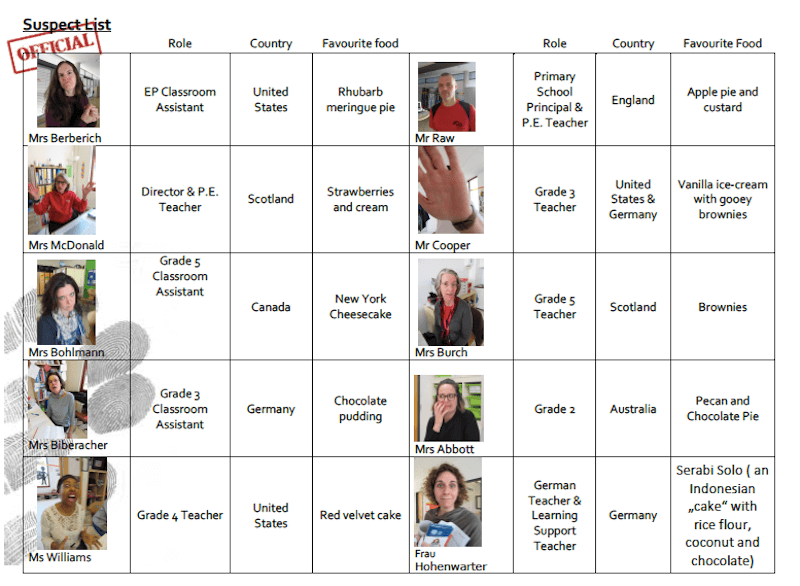 The Grade 1 AGP German group. 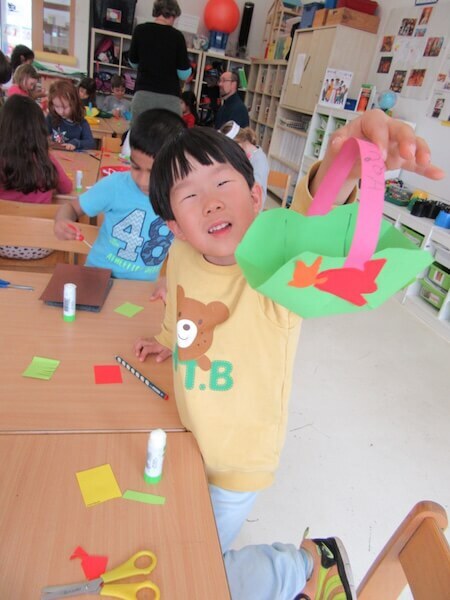 After learning about the Easter bunny tradition, German and EAL students made their own Easter baskets. 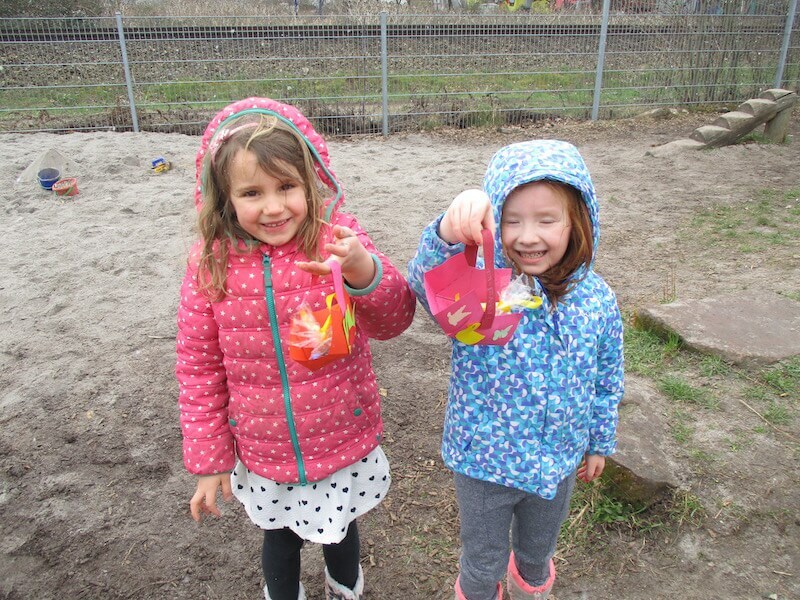 On Thursday, despite the cold weather, all EP students had fun on an Easter Egg Hunt outside, finding sweet surprises in their little baskets. 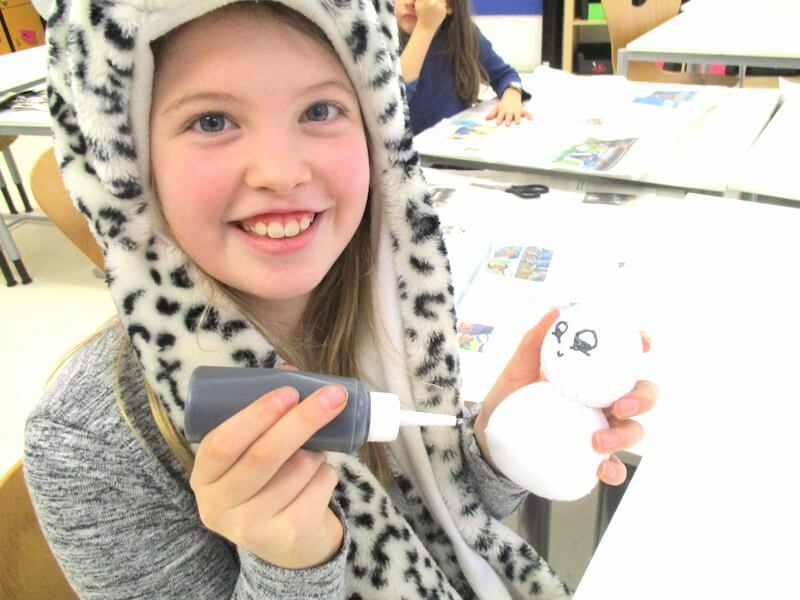 During our unit Market Forces, Grade 5 students were given the opportunity to start their own business. 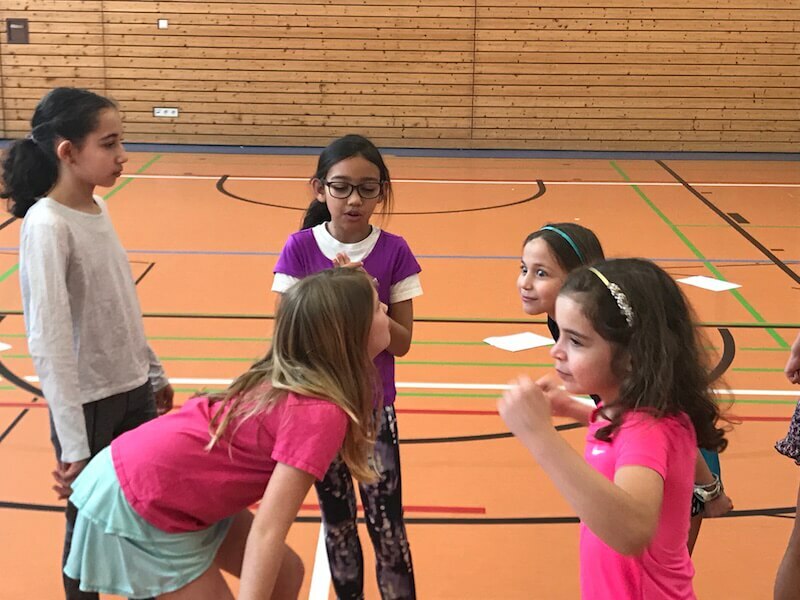 The focus was on how we are connected to others in the goods we use, what affects the price of a good or service and considering the ethical consequences of the choices we make. 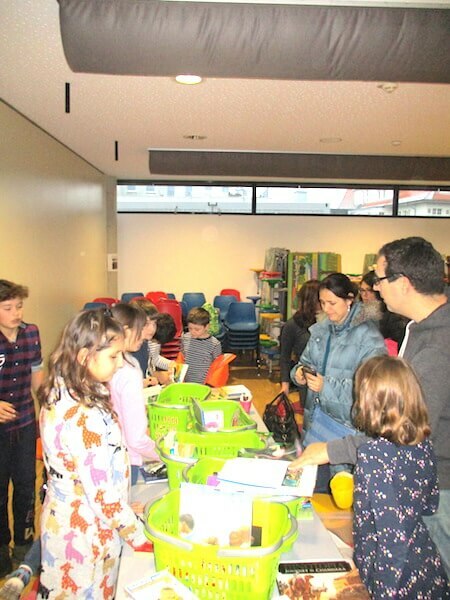 With this in mind together with a 5 Eur investment from parents, all the business groups managed to make a profit. The Grade 5 students considered what to do with their profit very carefully. They all donated their hard-earned cash to charity. One group donated 35.01 Eur to Alex’s Lemonade Stand Foundation for Childhood Cancer. The other business groups donated 175 Eur to Habitat for Humanity. 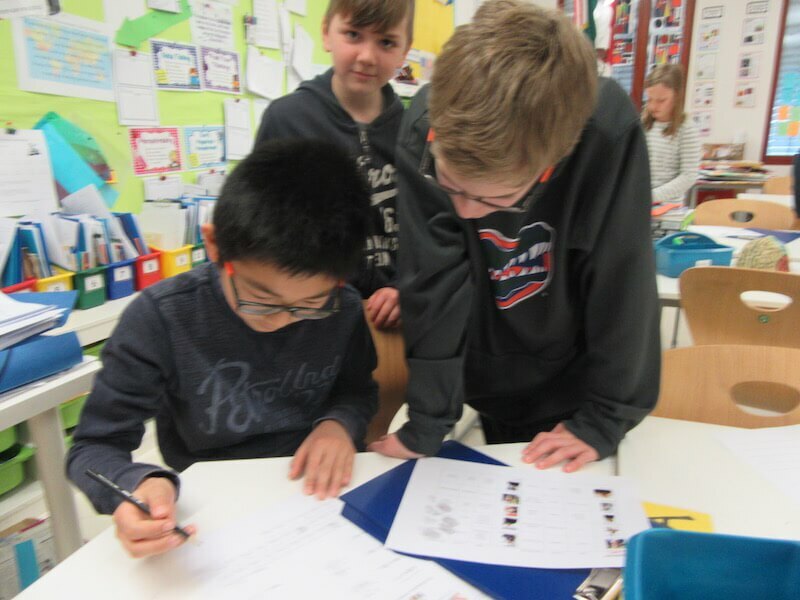 During our Unit of Inquiry, Grade 4 has been investigation how people have been on the move throughout history with wide-ranging effects on themselves and on the indigenous population. 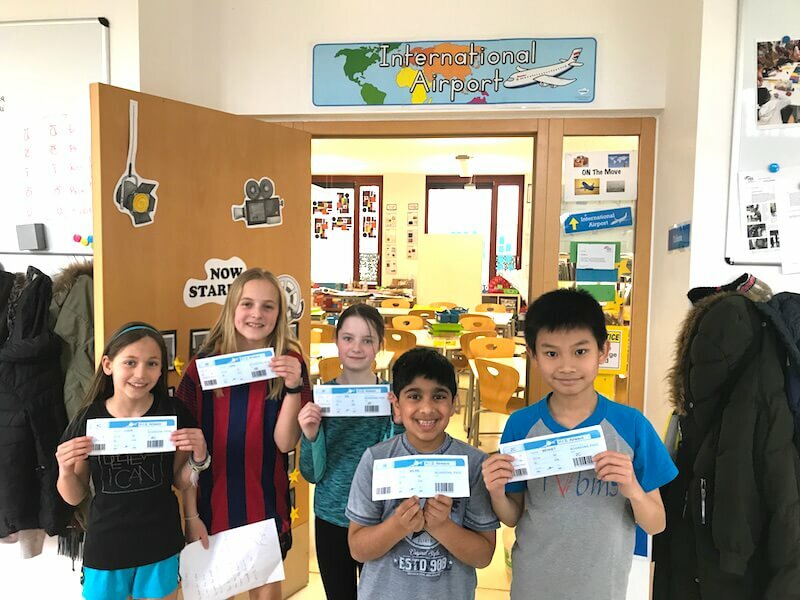 As part of this exploration, the Grade 4 classroom has been turned into an airport, where students take off for journeys all over the world. Today, students made a quick trip to New Zealand (from India), where they learned about the traditional dance of the Maori people. 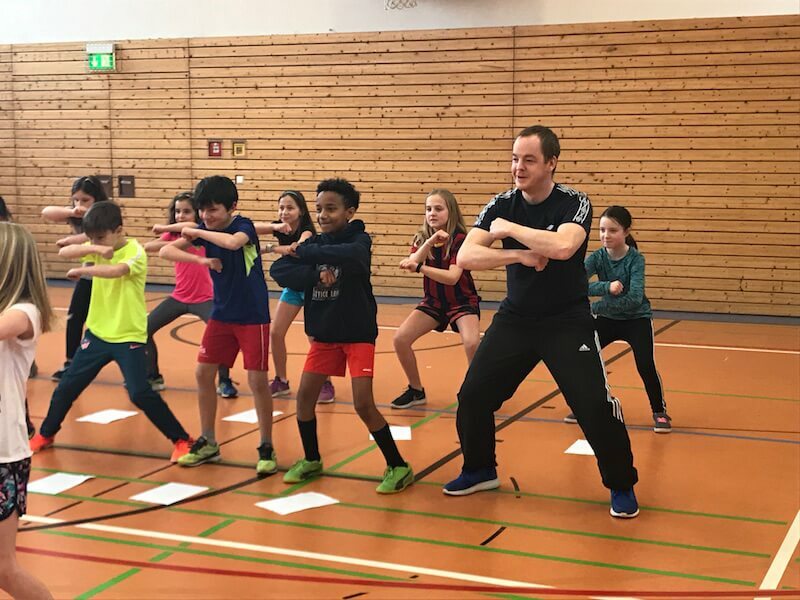 Once we “landed”, one of our Grade 4 parents took students on a cultural tour through her home country, where students learned the history and traditions of the haka. 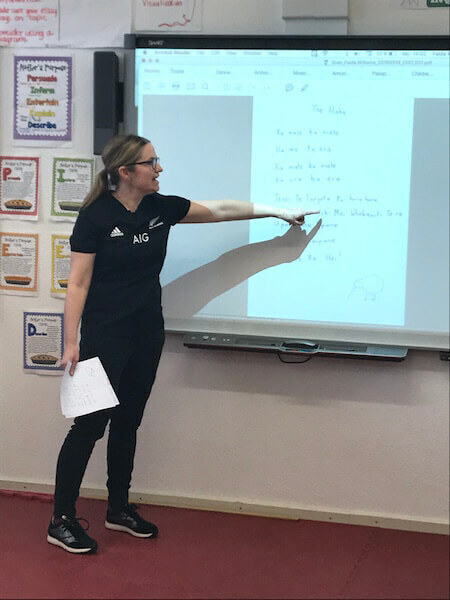 She explained that New Zealanders learn the haka at a school and that it is done at ceremonies and to celebrate milestones. 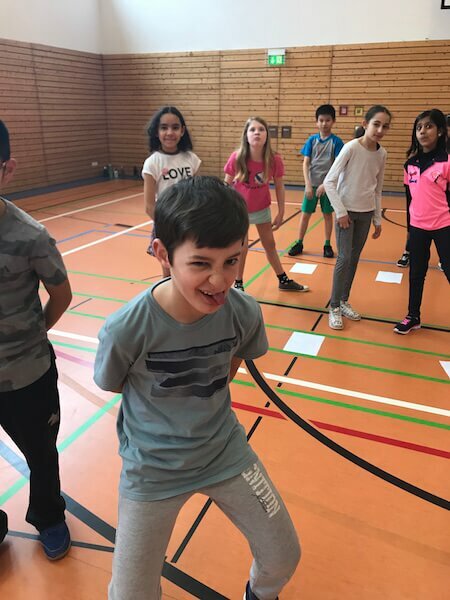 After understanding the powerful meaning behind the dance and developing an appreciation for the Maori’s culture, students learned the Ka Mate Ka Mate Haka, which is the most well-known version. The lesson finished with a little bit of boys verses the girls haka. Both were fierce! See these Grade 4 warriors show you their moves on the H.I.S. Facebook Page! Tablets in The Primary School! We have been trialling the use of tablets in the PYP. 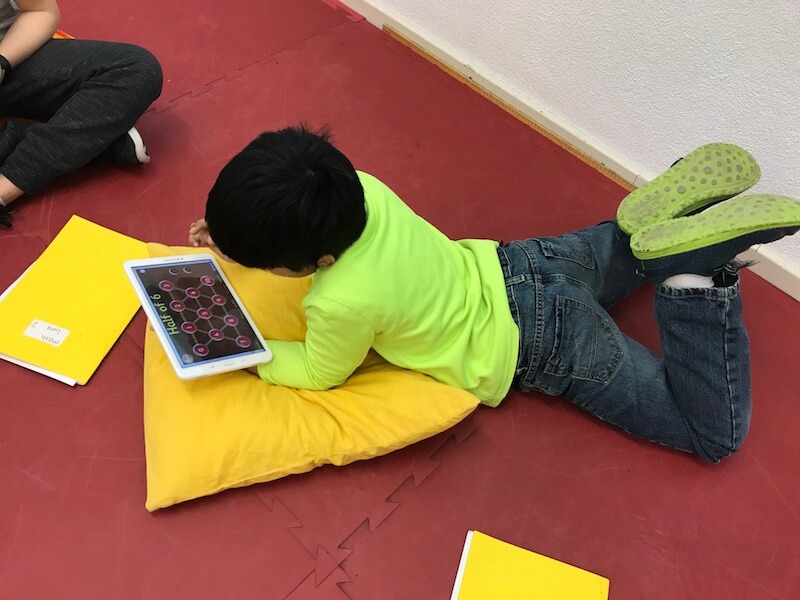 Grade 4 was selected for this task and are making use of these devices. 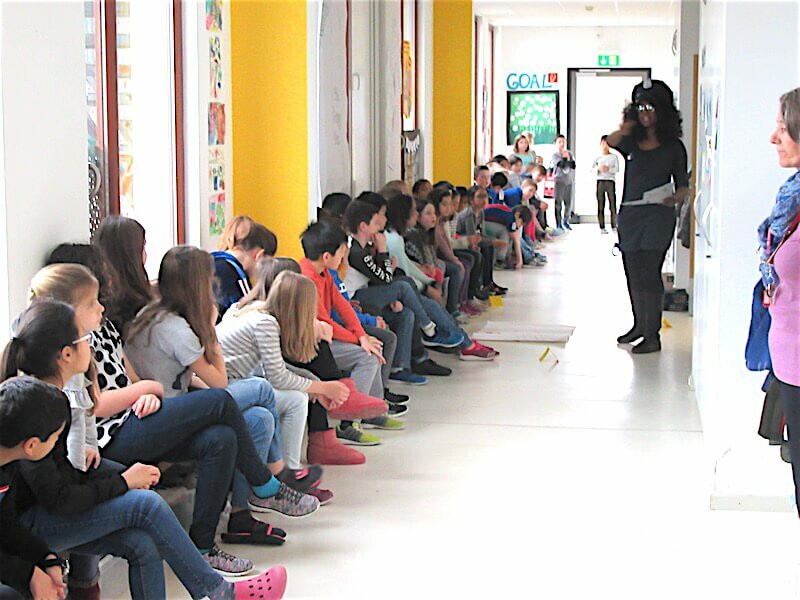 The use of IT with children can be controversial and we would like to see what benefits arise from their use during the rest of this school year. 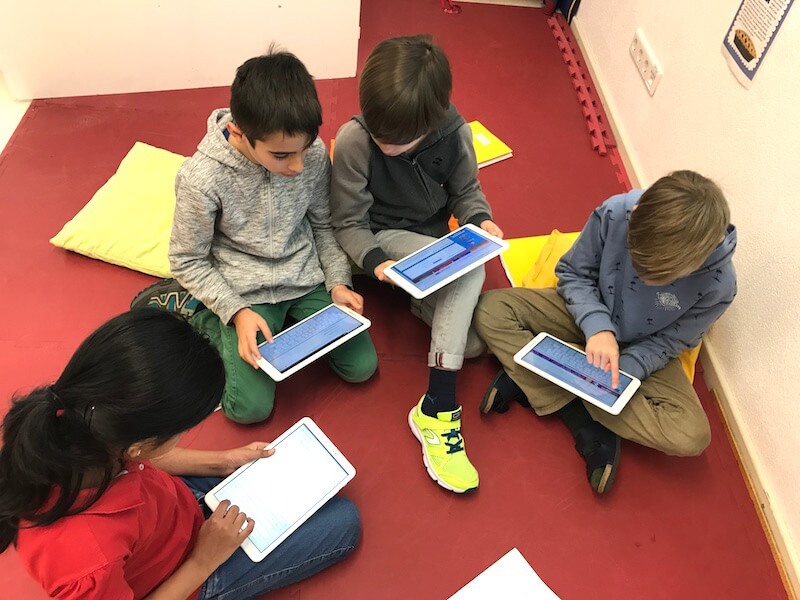 A tablet can be used in a totally different way from a laptop and the students are having fun exploring the different Apps available to them. If we deem the tablets to be a useful educational tool, we may well purchase these for the remainder of the PYP classes. This week, Grades 3, 4 and 5 have been celebrating Math Week. 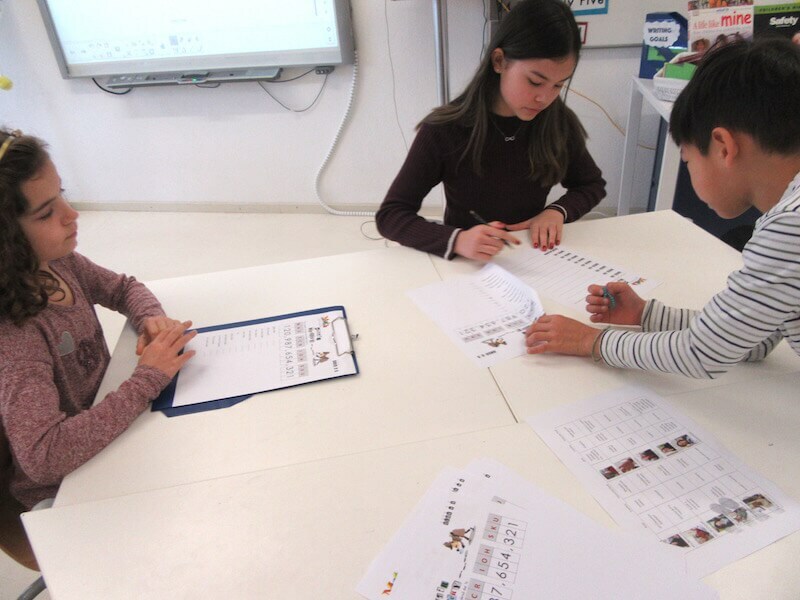 On Tuesday, students worked in groups mixed between the three classes to solve the murder of a beloved cartoon character. 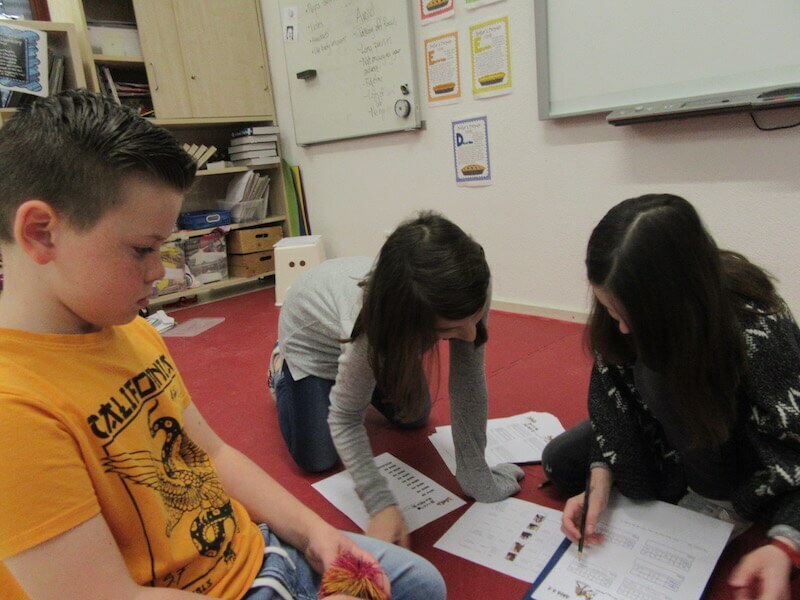 Faced with the crime, these detectives had to solve mathematical problems, which revealed pieces of evidence. After cross referencing their suspect list (comprised of all the PYP teachers), students were able to deduce who the perpetrator was. Can you figure out who committed the crime? Chocolate finger prints were left at the scene of the crime, along with a brown hair strand and broken glasses. The suspect had to improvise his/her exit plan because construction prevented a quick getaway. After fleeing the scene of the crime, he/she flew 19 hours home to somewhere in the eastern hemisphere.